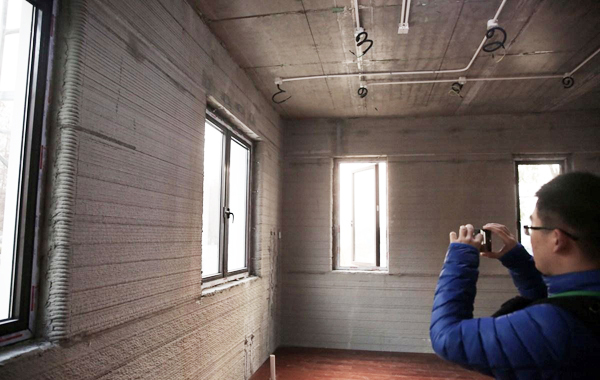 The potential for 3D printing has been further expanded by a Chinese construction firm in what is a world first for 3D construction. 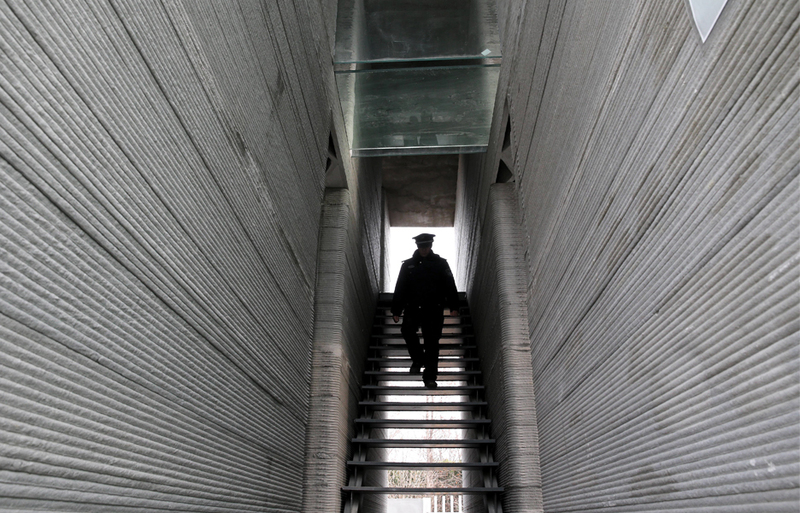 In the Suzhou Industrial Park within Jiangsu province, WinSun Decoration Design Engineering Co last week unveiled two separate buildings made primarily out of 3D printed materials. 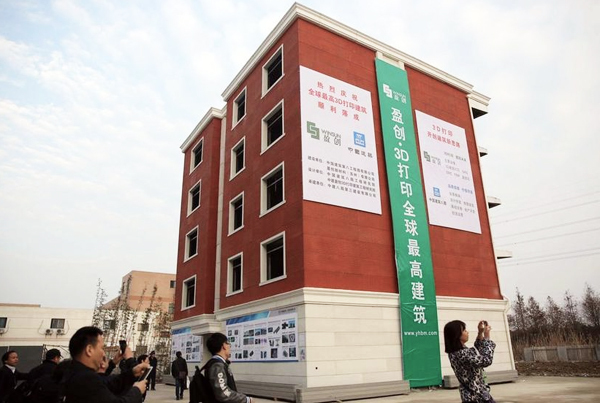 Using a 6.4-metre-tall printer, WinSun constructed the highest 3D printed building, a five-storey apartment block, as well as the world’s first 3D printed mansion. The project springs from the success of Winsun’s 2014 debut of 10 individual houses that were all printed and constructed within an astonishing 24-hour period for a cost of approximately US$5000 each. Basic CAD drawings were fed into the printer, which fabricated the buildings’ structures piece by piece. Winsun used printed ‘ink’, comprising a mixture of glass fibre, steel, cement, hardening agents and construction waste. The use of construction waste in the ink’s mix is both economically efficient as well as environmentally so, as it otherwise emits a large amount of carbon. The ink mixture was then layered on top of itself to create a tiered building material that is designed to be flexible, self-insulating and resistant to earthquakes. Commissioned by Taiwanese-owned real estate company Tomson Group, the villa measures 1100 square metres and had a considerably higher construction cost of approximately US$161,000. However, 10 more sets of this type of villa have already been ordered following its construction. 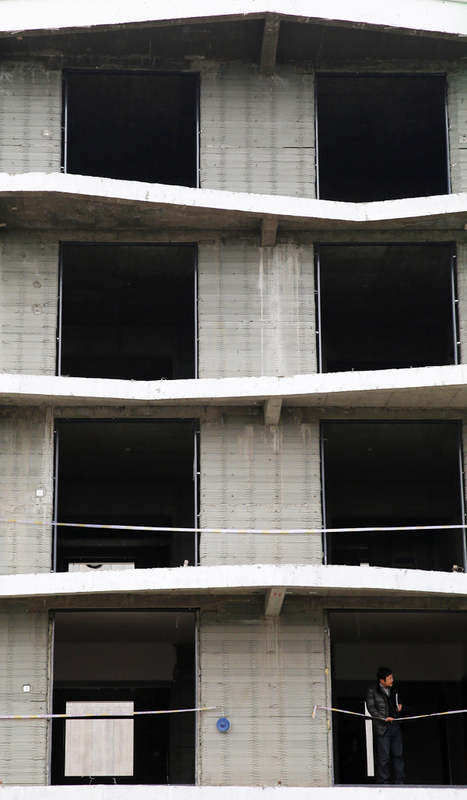 The project marks a significant milestone in the race for 3D printed buildings; with its success indicating the possible implications this form of construction could have on housing affordability, access and customisation. How many stories this building has? For me it seems like it has five stories.